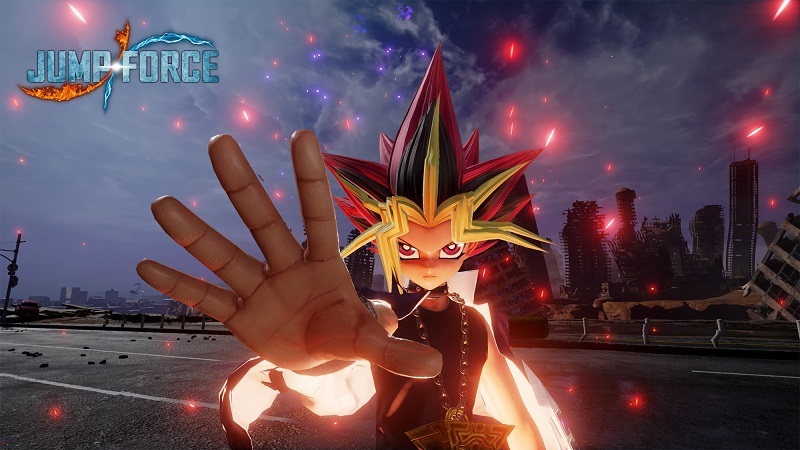 Last month Bandai Namco Entertainment revealed that Yugi Mutou, the main protagonist from the hit manga and anime franchise Yu-Gi-Oh!, would be a playable character within the cross-over Shonen Jump themed fighting game JUMP FORCE. Well today the publisher have revealed some additional information about this character as well as showcased some of his abilities within a brand new gameplay trailer. As part of this trailer we learn that Yugi will use Dark Magician and Dark Magician Girls against those who battle as well as the all-mighty Slifer the Sky Dragon. Bandai Namco also mentioned that Yugi will be able to use spell and trap cards in order to defend and counter from enemy attacks. JUMP FORCE is in development for the Xbox One, PlayStation 4 and Windows PC and will be released earlier next year. Filed under Games, News, PC, PS4, Xbox One Tagged with Bandai Namco Entertainment, Game, JUMP Force, News, Playstation 4, Trailer, Windows PC, Xbox One, Yu-GI-Oh!